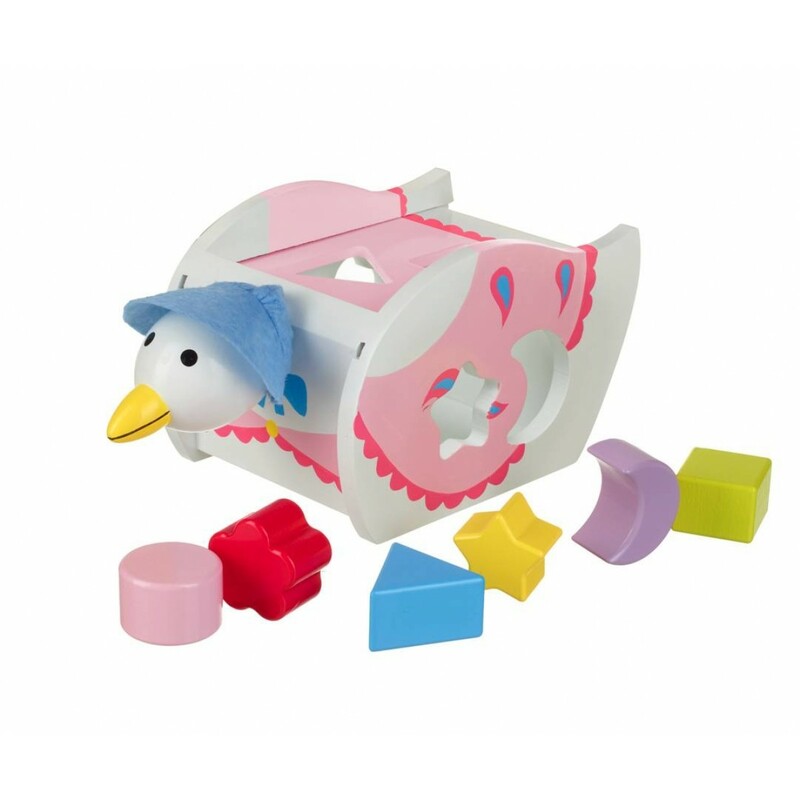 This charming Jemima Puddle Duck Shape Sorter is the perfect traditional wooden toy. Beautifully made by our friends at Orange Tree toys, it comes with six colourful shapes to slot into Jemima's body. Great for hand eye coordination and cognitive skills, this is a brilliant first sorting toy for your child. It's a substantial, colourful and very well designed toy, that's sure to captivate any little sorter. Sorting toys are great for helping little hands learn about different shapes and sizes. The wonderful heroes and heroines of Beatrix Potter's stories are some of literature's most enduring characters- and now thanks to the recent cartoon reboot, they're more popular than ever!